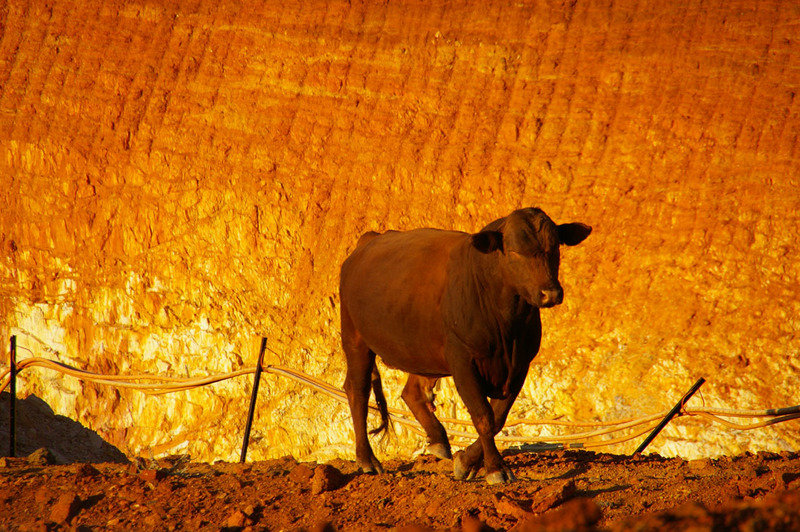 The Gidgee mine site is in the East Murchison/ Northern Goldfields of WA is situated on Gidgee Station, between the Youno Downs Station (an operating Cattle Station) and Yeelirrie Station (a proposed uranium mine). 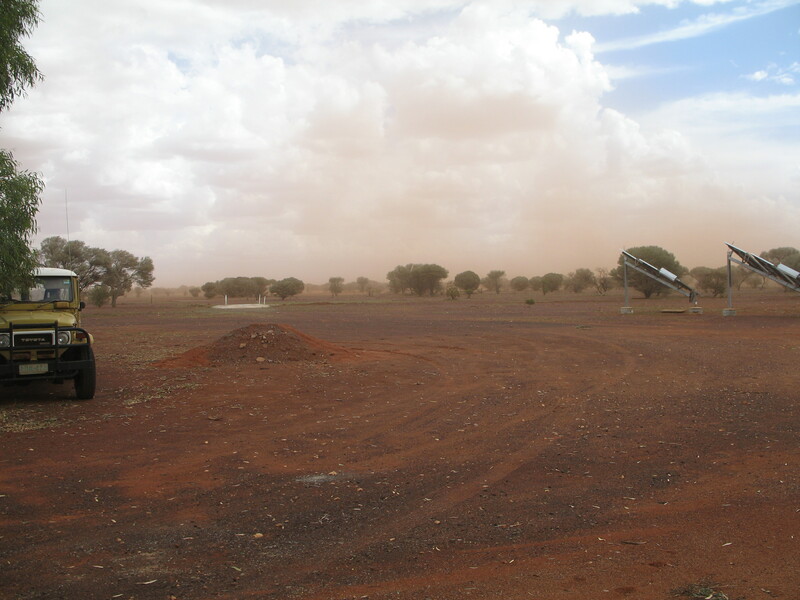 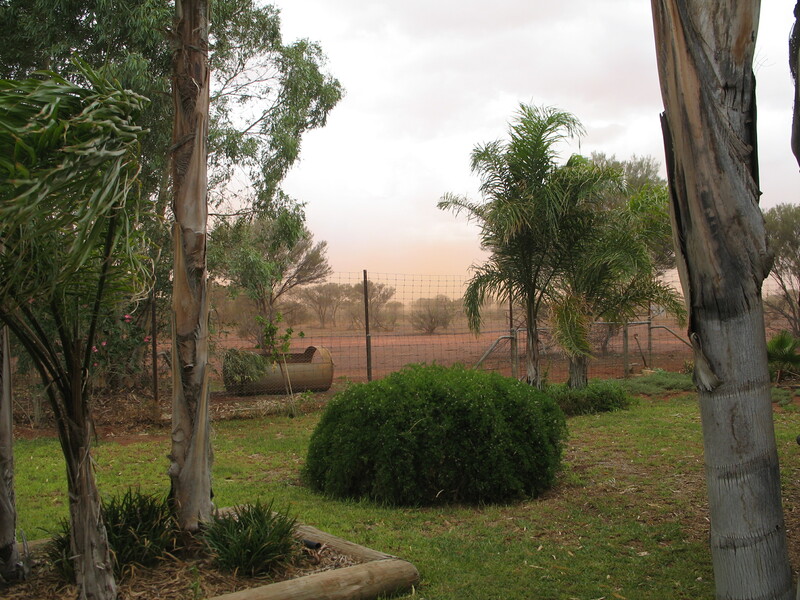 Nearby mines include Magellan lead mine, Mt Keith nickle mine and the Wiluna gold mine. 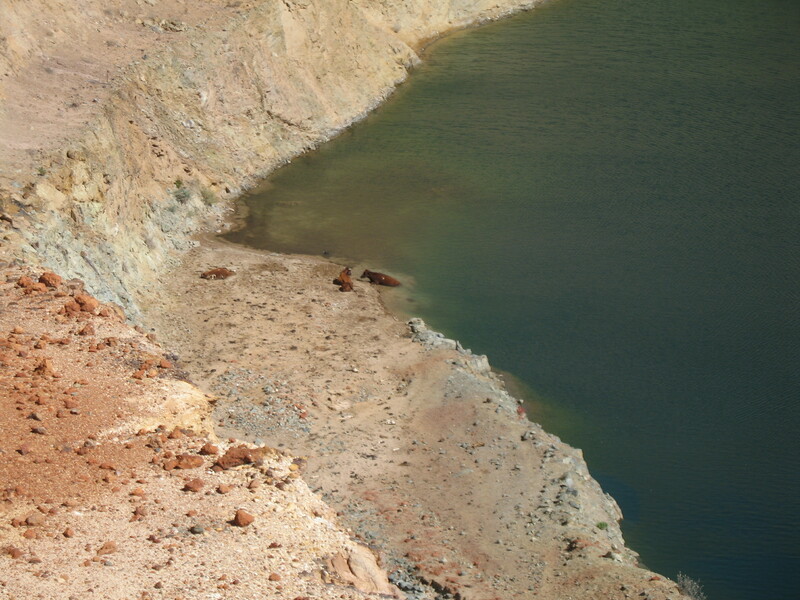 The area is now inundated with uranium exploration projects. 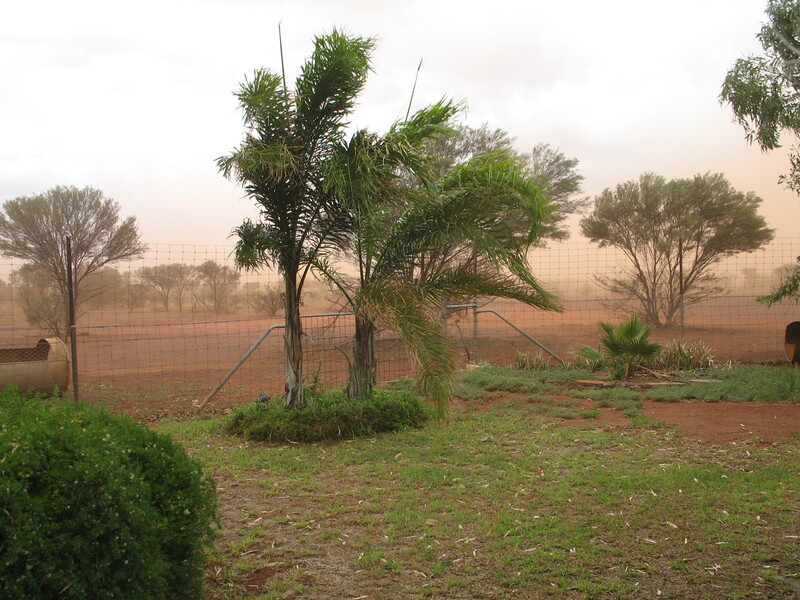 Local complaints about the sites current state is the lack of dust control and fencing. 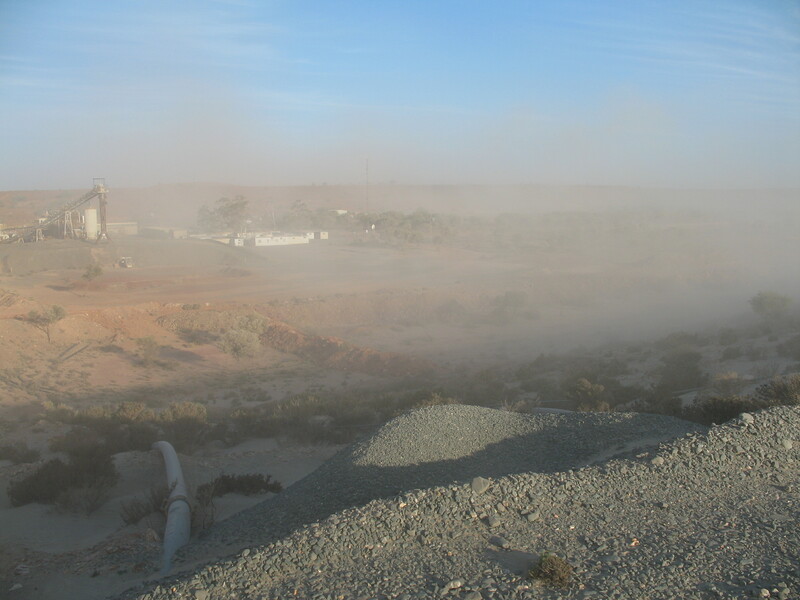 As you can see in the photo’s below there is pollution spreading from the tailings dust. 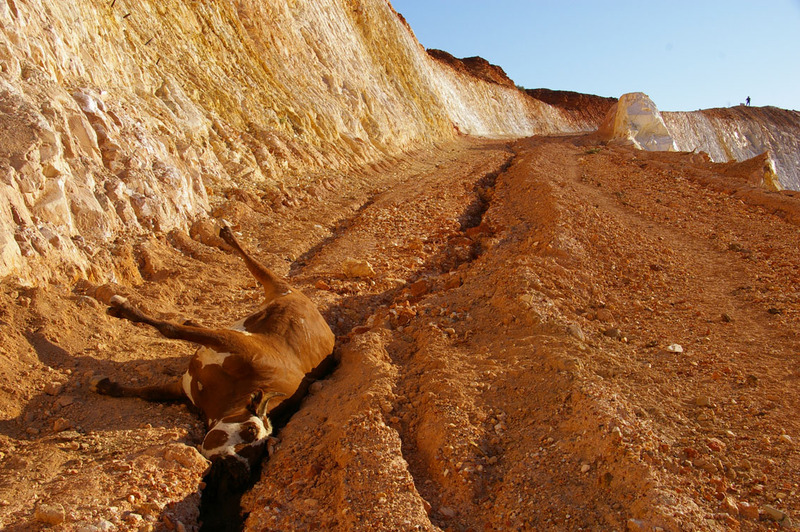 The lack of fencing has led to a number of cattle deaths – cattle are attracted into the open pits by the water where they then get bogged. 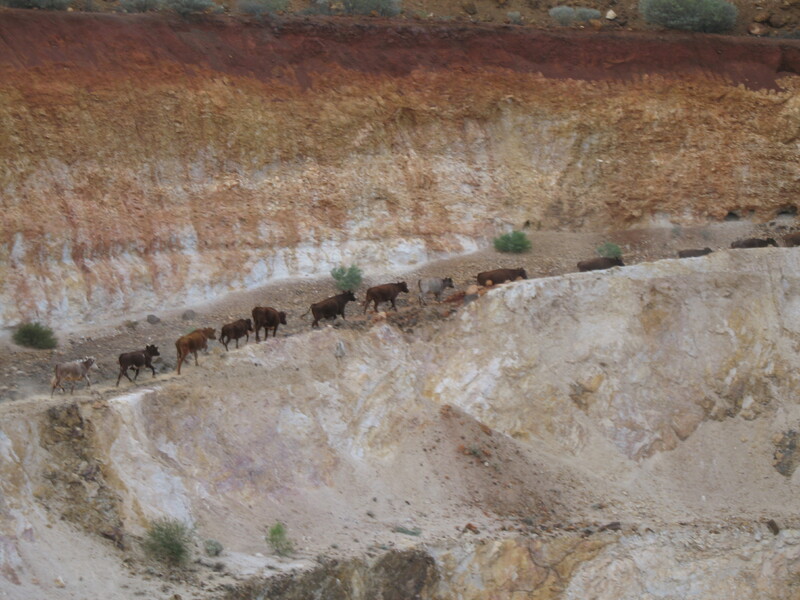 It also a possibility that they are ingesting heavy metals (Photo’s of cattle have been provided by Youno Downs Station). 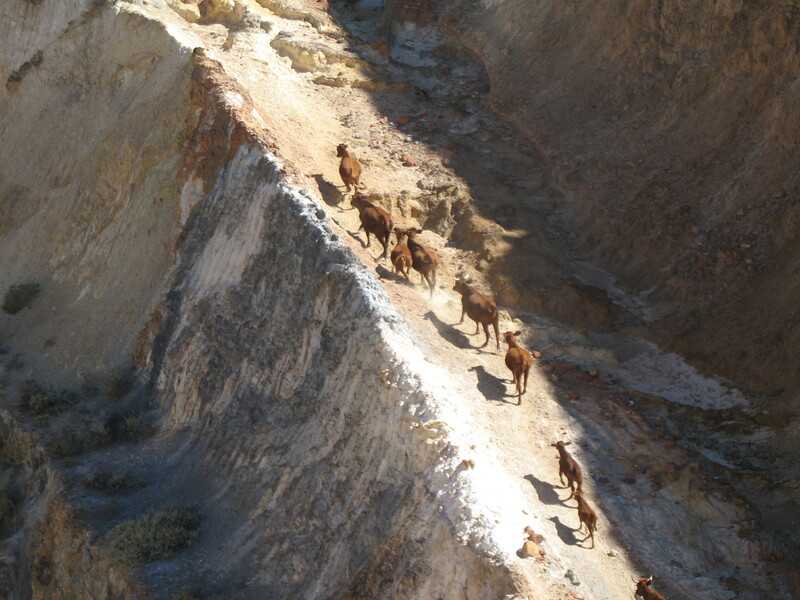 On a site visit in 2011 there was clear evidence of erosion, salinity and pollution along with dust and impacts on cattle. 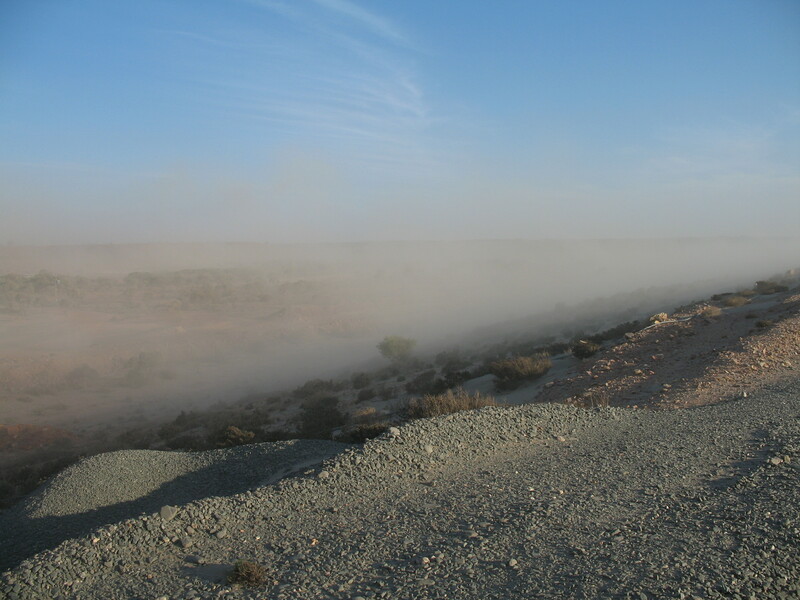 Although the 1990s was supposed to have decent environmental regulation and rehabilitation standards, the dust storm from the tailings dam is a major hazard as well as the direct access the cattle have to the former pit. 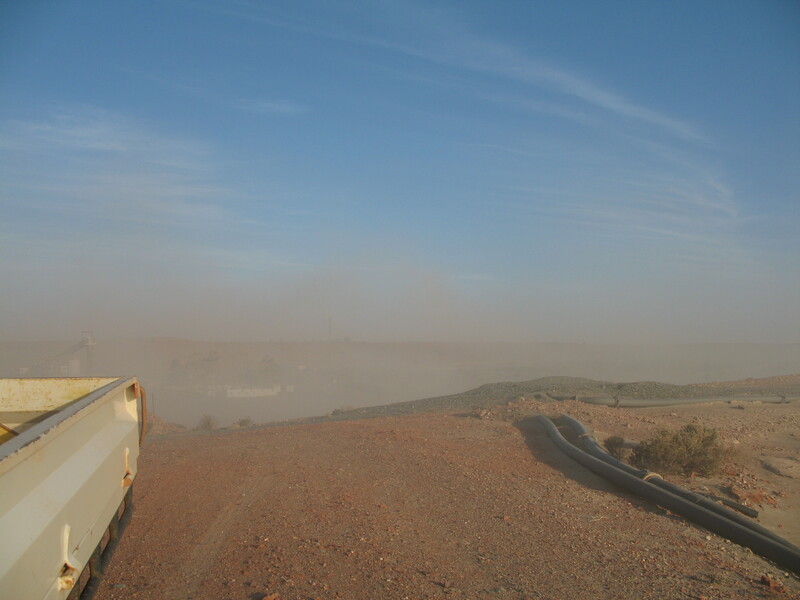 So much for modern industry performance! 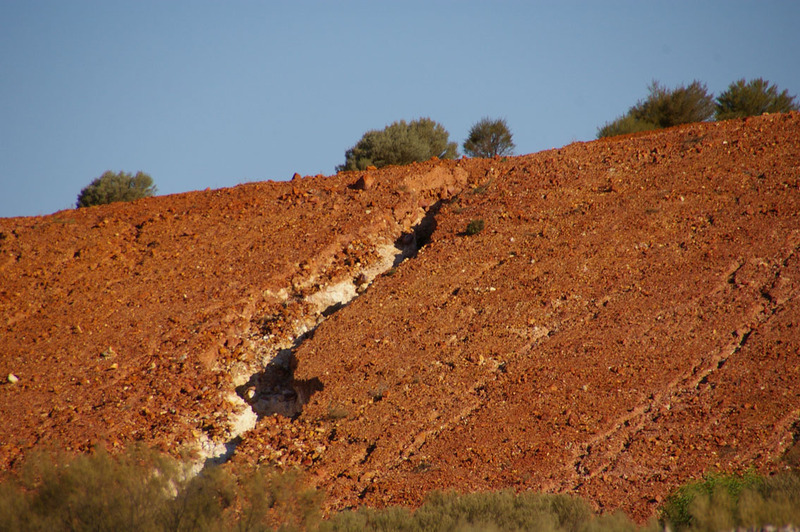 Recent exploration has found more gold ore, leading to the prospect of it being re-opened very soon – perhaps they might even get the regulation and performance right this time.